Now the boat is mostly watertight bottom up, the next objective of to make the boat watertight top down. This means putting in a frame around the hole in the deck where the engine was lifted out and putting windows in the front raised section. This will keep the rain and sand out and mean that work can start on painting and prepping the inside. 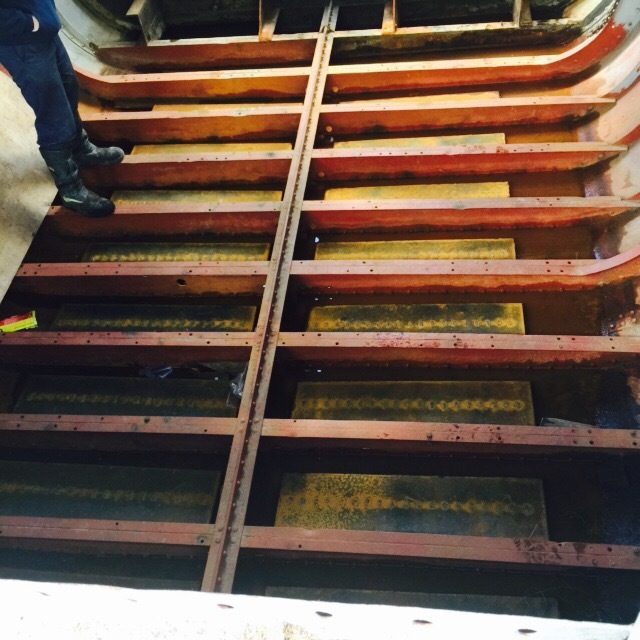 One job is finishing off the engine cooling system in the floor of the boat. This takes the engine to bring a closed system which reduces the maintenance and means fewer holes in the hull of the boat (always a winner). 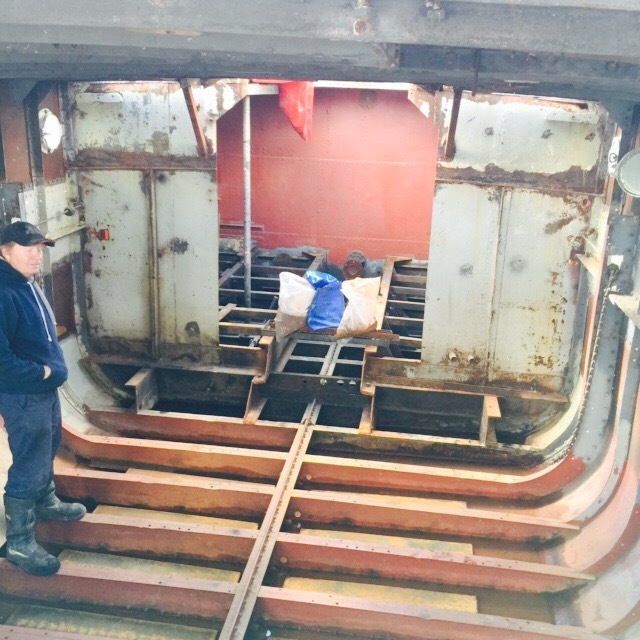 The picture below shows Alex the welder standing in the main cabin. Any photo of this space with someone in it really shows off the height of the space. And the massive engine cooling system between the ribs. Hopefully this can also be used as underfloor heating… Jury is out in this but it could be a possibility? This entry was posted in Uncategorized on May 21, 2015 by hellyboo.